A transparent view of the life I live! WHAT IF WE GAVE . . .
As I was writing the above questions, my mind formed this additional question. Missionaries advancing the gospel, together, in one sacred effort! Having been a Southern Baptist all my life, I know the importance of giving to the Lottie Moon Christmas offering. And obviously, when my son joined the ranks of this missionary organization, I got up close and personal with how my donations to the December offering affected our missionaries personally. From the vehicle they drive, the house they live in, the salary they are paid, the provision for my daughter in law when she gave birth to my grandson, to being able to arrange the complicated logistics for a pilot to fly into the remote area where my son and his family live to take the antibiotic my grandson desperately needed, my perspective on the importance of my giving to the Lottie Moon Christmas offering now finds its origin deep within my heart. 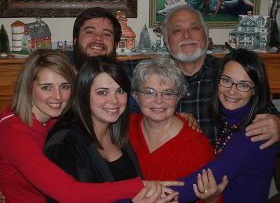 I pray Southern Baptist individuals, especially, but all who read this blog, will take to heart this mother’s plea to support the Lottie Moon Christmas offering. With all the sacrifices my son and his family (as well as their families in the States) have had to make in order for them to take Jesus to the nations, my heart is encouraged and comforted because I know from experience that because you give my son and his family will be provide for as they join with other IMB missionaries in making this sacred effort to share the gospel message. And that’s worth every effort! A Missionary’s Mom and Lottie Moon Christmas Offering! My Message to all of you on behalf of our missionaries and their families. encourages my aching heart in ways you can’t imagine. Thank you for your prayers and giving on behalf of my son and his family. God bless all of the churches and individuals who send prayers and financial support through the Lottie Moon Christmas offering to our missionaries all across the globe. Your loving generosity cannot be measured! WHAT HAPPENS WHEN YOU GIVE TO LOTTIE MOON CHRISTMAS OFFERING! How much does it cost to support a missionary? Reported May 2012. Support includes housing, salary, children’s education, medical expenses, retirement and more. I pulled the statistics above from the website listed and posted them here for your benefit.Statistics can be a very dry read but being the parent of a missionary, these figures become quite personal. Because I know that people who are not involved with missions as I am, tend to overlook an offering such as Lottie Moon, I hope that God can use something I blog here to spark your interest and motivate you to want to give to this offering. I sort of got the feeling the above verse says it all! I want to personally thank those of you who give to the LM offering. Because you gave, my son had a truck to drive over the challenging roads of the 2 day trip to take my daughter-in-law to her 6 week visits to the doctor; because you gave, my son has a house for his family and the house has electricity (but not for the first few months, that’s why I am so grateful they have it now since my grandson will soon come there!) 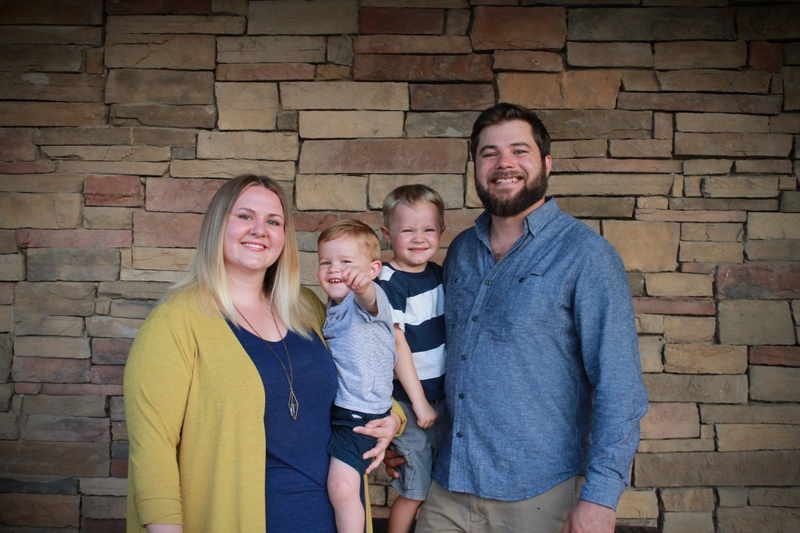 I could go on and on but suffice it to say, because of the support of the Lottie Moon Christmas Offering, this mom can be at peace knowing my children are being provided for. And you know what, for all those other parents of missionaries on the foreign field, I say thank you and God bless you for giving to the Lottie Moon Christmas offering! Bad News, Good News, and a Personal Challenge! If you go to the above link, you will read an article that should intrigue you. And as my post title implies, it contains bad news, good news, and a challenge. So, how about me sharing some of my impressions concerning this article? 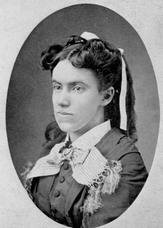 For those of you reading this post who may not know her, here’s a little info on Lottie Moon! Lottie Moon – the namesake of the international missions offering (image above) – has become something of a legend to us. But in her time Lottie was anything but an untouchable hero. In fact, she was like today’s missionaries. She was a hard-working, deep-loving Southern Baptist who labored tirelessly so her people group could know Jesus. Why was the offering named for this early China missionary?Throughout her career, Lottie Moon wrote numerous letters home, urging Southern Baptists to greater missions involvement and support. One of those letters triggered Southern Baptists’ first Christmas offering for international missions – enough to send three new missionaries to China. Now that you know what I’m talking about when I refer to the Lottie Moon Christmas Offering, let’s continue. As you know my son and his lovely wife are now serving as foreign missionaries. Obviously, I have taken on a much greater appreciation for the L.M. Christmas offering. When the team they work with, first moved into their quarters they had no electricity! Try to imagine having a 4 yr. old, a 2 yr old, and an infant in one family unit, and a newly pregnant (first time) mom in the 2nd family unit, all living together without electricity! Difficult, I know, but here’s where Lottie Moon comes in to save the day. After living like this for about 5 months a crew comes in and installs solar panels and voila’ electricity. Thank you Lottie Moon! The vehicles the two families use are provided by Lottie Moon Offerings as well. Can you understand why I love Lottie Moon? Now, here’s the point I’d like to make regarding the link posted. Around Christmas time every year, an offering is taken up whose main function is to provide for our foreign missionaries. You know, like pay their salaries, insurance, provide what they need for ministry, etc. We do this as Southern Baptist so our missionaries don’t have to worry about raising these funds themselves and can focus on their ministry instead. While supporting missionaries overseas becomes more expensive each year, the troubled U.S. economy has affected church offerings. Last year, IMB trustees were forced to curb appointments of new missionaries and suspend two short-term missionary programs entirely, initiating a gradual reduction in the IMB’s global missionary force. The reduction eventually will lower missionary numbers from the high of approximately 5,600 (reached in 2009) to 5,000 through natural attrition — completions of service, retirements, and resignations. “We are grieved that budget limitations will force us to continue to restrict new missionaries being appointed,” Rankin said earlier this year. “This is not just a disappointment to individuals and families called of God to serve overseas, but it means many unreached people groups will be deprived of hearing the Gospel yet another year. RICHMOND, Va. —“Extremely grateful.” That’swhat IMB President Tom Elliff is saying about Southern Baptists’ gifts to the Lottie Moon Christmas Offering for International Missions, which reached $146.8 million last year — the fourth highest total in the offering’s 123-year history. Now I’d say that’s definitely a step in the right direction, wouldn’t you? And for all of us parents whose children are foreign missionaries, this gives us hope that our loved ones are going to be cared for and their desire (and ours) that they reach more people for Christ will be fulfilled. NOW I’M OFFERING YOU A PERSONAL CHALLENGE! Imagine my joy when I read the article that indicated SB had increased their giving to LM in 2011! Please God, help SB Churches to meet their goal of $175 million in 2012 for the Lottie Moon Christmas offering! So, Pray and Give, so they can Go! Note: “They” may become “You” someday! That’ll make the LM Christmas Offering personal! A not so typical mom of a missionary! My son is a missionary in a far away land. I have 3 daughters who's husbands are ministers here in the States. One of them lives nearby, the others about 11 hours drive from where I live. Because my husband was a pastor being the mom of daughters whose husband's were ministers was something I was very familiar with, BUT I was clueless about what it was like to be the mom of a foreign missionary. So this blog is a "learn as I go" project and it is my intention (& mission) to help other parents (esp moms) to face this calling with God's grace and power. If I can do this, I KNOW you can! The source that guides me as a missionary’s mom! It’s a challenging calling, being the mom of a missionary. One that requires sources beyond my personal strength to handle. Fiery Darts, a blog of practical applications (based on my book, Fiery Darts: Satan’s Weapon of Choice), is an essential component of that strength. Hope you will check it out! 4 yrs before we do this again! One of my favorite mission's website!